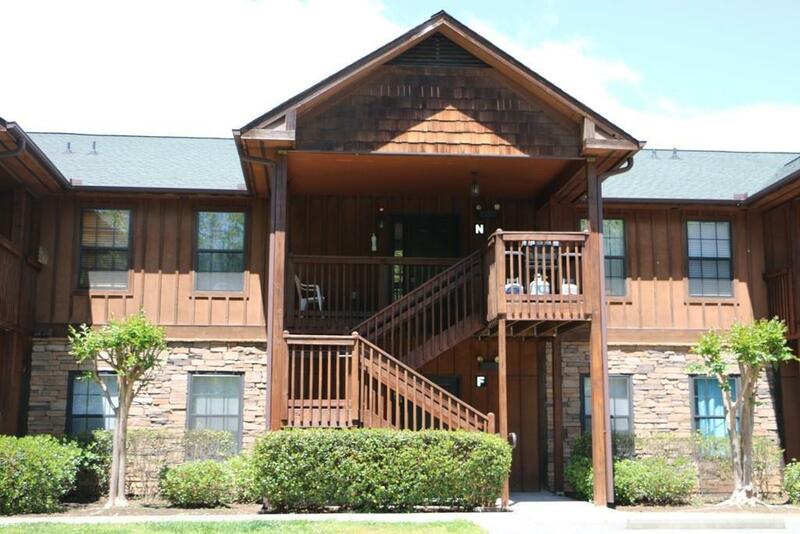 Imagine gazing at the Blue Ridge mountains and Lake Keowee from your very affordable get-away. Charming 3 bedroom 2 bath upper level condo located... just across the street from the lake. The light and views pour in through the sizeable windows and glass sliding door. Master suite boasts double vanities, shower/tub combo, spacious walk-in closet, and access to a covered deck. The additional bedrooms offer very roomy walk-in closets as well. Substantial laundry room conveniently positioned between all three bedrooms. Open kitchen area w/ eat-in bar... equipped with stainless appliances. There is more than meets the eye in this gated community. Enjoy your beverage of choice and cool down out by the pool and cabana area. Need a place to store the boat/water toys? A detached garage/storage unit comes with this unit. Access to a community dock and slips is located just across the road, and War Path Landing is just a couple of minutes away. Need to offset some of the expense? These units make great short term and long term rentals! All of this and some of the furnishings are included as well. Make your appointment today and start making lasting memories at the lake!